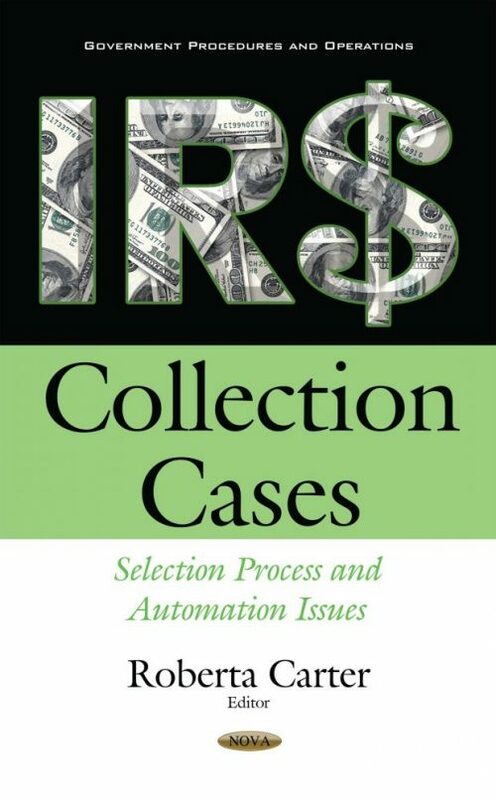 The Internal Revenue Service’s (IRS) collection program largely uses automated processes to categorize and route unpaid tax or unfiled tax return cases for potential selection. The automated Inventory Delivery System (IDS) categorizes and routes cases based on many factors, such as type of tax and amount owed. Outside of IDS, collection managers set goals for closing cases in priority areas, such as delinquent employer payroll taxes and cases involving certain high-wealth taxpayers. IRS’s collection program pursues individuals and businesses that failed to fully pay their taxes or file returns. This book describes collection processes and trends in priority areas; and assesses how well controls support the mission, including applying tax laws with integrity and fairness to all. Furthermore, this book describes the ACS process to prioritize and select collection cases and the results of that process for fiscal year 2014; and determines how well the ACS case prioritization and selection process supports the collection program mission and objectives.